In her novel Ask Me No Questions  Marina Budhos tells a 9/11 story that is very different from the one most Americans would recognize. Her narrator, Nadira Hossain, is the younger of two teen-aged sisters in a Bangladeshi immigrant family living in New York but, like many in that community, without legal residence status. After 9/11, when immigrants from Muslim countries become the object of public fear and suspicion and greatly increased government scrutiny, their father is sent into detention as an illegal alien. The family’s life is upended — and with it, Nadira’s and her sister’s sense of who they are and where they belong. This story, Budhos told the ACIA conference, represents the “invisible” narrative of 9/11: the experience of Muslim teenagers, particularly Muslim girls, in the post-9/11 United States. Budhos set the stage for her talk by reading a passage from the book’s opening chapter. “I remember when we first arrived at the airport in New York, how tight my mother’s hand felt in mine. How her mouth became stiff when the uniformed man split open the packing tape around our suitcase and plunged his hands into her underwear and saris, making us feel dirty inside. Abba’s leg was jiggling a little, which is what it does when he’s nervous. Even then we were afraid because we knew we were going to stay past the date on the little blue stamp of the tourist visa in our passports. Everyone does it. You buy a fake social security number for a few hundred dollars and then you can work. A lot of the Bangladeshis here are illegal, they say. Some get lucky and win the Diversity Lottery so they can stay. “Once we got here, Abba worked all kinds of jobs. He sold candied nuts from a cart on the streets of Manhattan. He worked on a construction crew until he smashed his kneecap. He swabbed down lunch counters, mopped a factory floor, bussed dishes in restaurants, delivered hot pizzas in thick silver nylon bags. Then Abba began working as a waiter in a restaurant on East Sixth Street in Manhattan. Sixth Street is lined with Indian restaurants, each a narrow basement room painted in bright colors and strung with lights with some guy playing sitar in the window. They’re run by Bangladeshis, but they serve all the same Indian food, chicken tandoori and biryani, that the Americans like. Every night Abba brought home wads of dollars that Ma collected in a silk bag she bought in Chinatown. “The thing is, we’ve always lived this way–floating, not sure where we belong. In the beginning we lived so that we could pack up any day, fold up all our belongings into the same nylon suitcases. Then, over time, Abba relaxed. We bought things. A fold-out sofa where Ma and Abba could sleep. A TV and a VCR. A table and a rice cooker. Yellow ruffle curtains and clay pots for the chili peppers. A pine bookcase for Aisha’s math and chemistry books. Soon it was like we were living in a dream of a home. Year after year we went on, not thinking about Abba’s expired passport in the dresser drawer, or how the heat and the phone bills were in a second cousin’s name. You forget. You forget you don’t really exist here, that this really isn’t your home. One day, we said, we’d get the paperwork right. In the meantime we kept going. It happens. All the time. This gets to the heart of what the book is about, an undocumented Bangladeshi family, a Muslim family, in New York at that time. I’ll fill in a little bit on how I came to this story and what and what compelled me to write it. A number of years before, I had written a nonfiction book called Remix: Conversations with Immigrant Teenagers. I interviewed teenagers from all different backgrounds, curious about their journey here. Those interviews took place around 1996 and 1997, and I began to notice that there were certain teenagers who were talking about the Gulf War, Muslim teenagers. And I realized that I had stumbled onto this invisible story or narrative, this invisible group that nobody is really talking about, particularly Muslim girls. We have all these ideas that those girls have to wear a hijab, or their parents are really strict, or they are not into education, and I was finding it far more nuanced and complicated. Move on a few years. 9/11 happens and my interest again is in immigrant teenagers and their stories, what’s happening to them. I thought about many of the teenagers I had interviewed, Bangladeshi teenagers, Pakistani teenagers. I thought okay, I am just going to go out and find out. So I started hanging around with teens, talking to people who were dealing with these communities, thinking I was actually going to write a journalist’s piece about this. I wanted to do a profile of an undocumented teenager who was coping with the pressures of 9/11. This was about a year after 9/11. The Special Registration program was in effect, requiring that male non-citizens 16 and over from 24 predominantly Muslim countries had to go register with the government. And what started to happen is these men would go down to register and when the immigration authorities found some kind of violation or some reason that they could detain them, hordes of men were being detained. I would say at least 50 percent of the Bangladeshis in New York were undocumented. They are working in the kind of jobs that my character’s father had. Their children are trying to gain some foothold and their status is very ambiguous. During this period when Special Registration starts to happen and these communities are being impacted, they don’t know what to do. Do they register and get caught, do they expose themselve, or do they go further underground and become more invisible? The amount of terror and fear that is rippling through these communities is very great, and they just don’t know what to do. During this time Coney Island Boulevard in Brooklyn had a lot of Pakistani shops. Within months they are shuttered up , they are gone, people have disappeared, people are gone. The invisible became more invisible. And I began thinking, what about a young person who has been here six, seven, eight years and this has happened to her family. I thought about those girls I had interviewed five or six years before who thought their future was here, even though they knew there was ambiguity to their status, and suddenly the ground was pulled out from under them. The other thing I thought about was that most of us were thinking about 9/11 as Americans. I teach young people in New Jersey, and some of them have relatives or neighbors who were impacted. And that’s their narrative about 9/11. But I was really interested in this other narrative that began about a year later when the crackdown started to happen in Muslim communities. The federal government started to do raids on houses, knock on doors, and that’s when lot of deportations started to happen. There is a scene in the book where they come knocking on the door in the middle of the night, immigration officers are there to take the girls’ uncle in for questioning. When I was working on the book with my editor, she said, oh, come on, you know it is getting a little too dramatic, this is not really happening. And I said, no, it really is happening. I don’t think it was known to most Americans, the degree to which these kinds of tactics, banging down doors, men put into detention centers and if they do not have documentation, they don’t have the same civil liberties as Americans. So you could have families not knowing for months on end where their father is or what the charges are against him in this kind of secret shadow world. That was the context that interested me, and trying to think about what it felt like from the perspective of a young immigrant — two girls who are also just dealing with being sisters, just dealing with the pressures of being teenage girls, thinking that their whole life was in front of them, and the rug gets pulled out from under them. I want to talk a little bit about how the novel has been received by teenagers. When I gave a talk at a high school in the Bronx, a Bangladeshi girl came up to me. She’s a star student, she is undocumented, her status is really unclear. She said, “you told my story, I can’t believe somebody would tell the story.” Again, it is the degree to which they feel invisible. I can’t say enough about how profound that is. 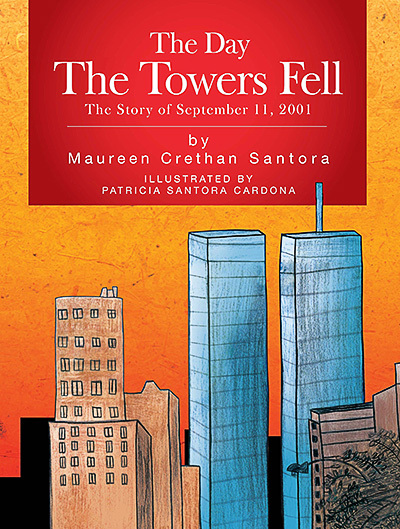 And then the book has been brought into the classroom for American teenagers who might not ever have thought about that side of the story, because the narrative in their minds is the event of 9/11 — the actual event, the trauma, seeing the news over and over again or knowing a family of somebody who died. I remember one of my students talking about being on the Weehawken waterfront and seeing the smoke and so forth. Their response to the book is oh my god, I didn’t know, I didn’t know. There is this other dimension, that there might be teenagers living among them whose immigration status is unclear, and they don’t know the signals. The teachers might not even know. I had letters from teenagers saying I was fairly well rounded, you know, knowledgeable kids, and they were surprised. Educators have been looking for ways to teach 9/11, from kindergarten to grade 12. One new K-12 curriculum was just announced in New Jersey, called Learning from the Challenges of Our Times: Global Security, Terrorism and 9/11. 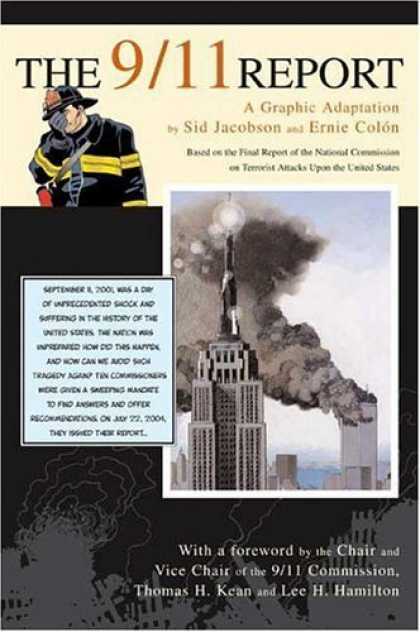 So that’s one way the book has been integrated into the American classroom, in teaching about 9/11. The other place it’s been taught is either in a teaching tolerance unit or in a middle grade social studies curriculum where it is paired with another moment in history, the Japanese internment in World War II. 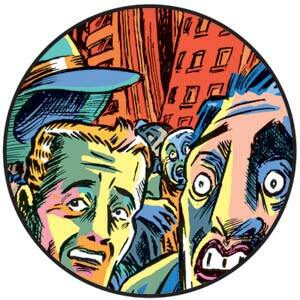 By now most good courses try to cover the Japanese internment. They teach the book Farewell to Manzanar,  and what I like about that way of approaching it is that it’s not only a historical perspective, it also helps look at differences: Pearl Harbor versus 9/11; who were the outsiders then in America when there was a kind of long-standing hostility toward the Japanese, especially on the West Coast, whereas the status of Muslims 60 years later was far more ambiguous — they were invisible, nobody really quite knew about them, and then suddenly their lives were turned upside down and this harsh glare was put on their landscape. If you look globally, our immigration stories in America make a far more successful and happy story compared to what’s happened in Europe, what has happened in England. 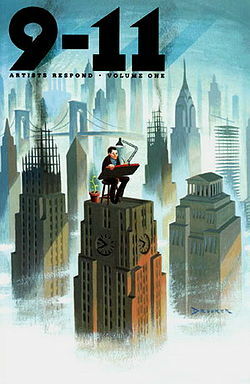 So I think one of the tragedies of 9/11 is that it set us back or set the tone in a different way. Muslim immigrant teenagers since 9/11 have been faced with having to defend themselves. Are they patriotic enough, do they have the proper allegiances, do they belong in the United States, should they be here? This all goes back to 9/11. It was not in the discourse before then. That’s what I was interested in, what is it like to be a young person thinking you are a part of this country, thinking that you are entering the mainstream, as invisible as you are, and suddenly your allegiances, your sense of belonging are called into question. That is what Muslim teenagers are thinking about now. That leads me to a final point: there is a need for nuance with respect to Islam and Muslims. A lot of Americans tend to have one definition of what it is to be a Muslim. But really there are strains and different strands within those countries, and young people are impacted by these strains, whether within Bangladeshi society or Afghan society or Pakistani society. That’s very, very important. In the educational context, there would be no difficulty explaining that to children if we were talking about Christianity. We understand that there are different strands and different approaches, so I think there is no reason why they can’t see those nuances among Muslims. Part of what I wanted to do is write a novel where being a Muslim is not the issue for the main characters. The issue is the pressures that are coming to bear upon teenagers who could be like any teenager to some degree. I am of South Asian background, though not Bangladeshi or Muslim, but I made my characters Bangladeshi. Why Bangladeshi? First of all there is a long tradition of support for girls’ education in Bangladesh. There are two sisters in the novel; the older sister wants to go to Harvard medical school. There’s a very very ambitious father who doesn’t care when people talk about whether she is going to get a good marriage partner. The idea of girls’ education and being an observant Muslim, that is not a conflict here. There has been a little bit more fundamentalism that has crept into Bangladesh recently, but that’s not the tenor of the world my characters came from. From the get-go I wanted to portray a family where that kind of conflict is not an issue — strict parents who want to keep their girls behind the veil or whatever, I did not want that to be the story of my characters because I did not think it was true with New York city kids. There’s a short scene in the book where one of the sisters was wearing a head scarf at school when they first came, and kids were making fun of her. She went home crying and her mother said, you know, take it off, it’s ok, we are here, we are just going to have to deal. So the parents can be flexible. They are actually a love match, the parents, which they aren’t in some of those stereotypes. We’re trying to work against some of those stereotypes. So the choices I made in writing the novel were meant to broaden the discussion, to describe different flavors and textures in the way people experience being Muslims in this country. Atheneum Books for Younger Readers (Simon & Schuster), 2006. The Special Registration program was in effect between November 2002 and April 2003. It applied to non-U.S. citizens from 25 countries, 24 of them predominantly Muslim (the one exception was North Korea). Males 16 and over from those countries were required to report to immigration offices to be questioned, photographed and fingerprinted. Of the more than 80,000 men who complied with the order, about 13,000 were put into deportation proceedings, most for overstaying their visas or other immigration violations. Farewell to Manzanar: A True Story of Japanese American Experience During and After the World War II Internment. Houghton Mifflin 1973.